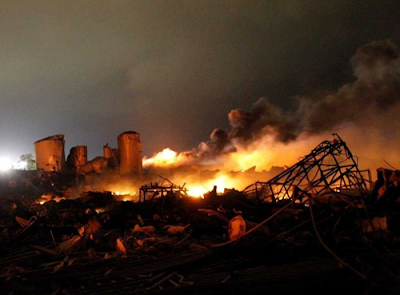 A few days before this post, on April 18, 2013, a small town just south of Dallas, Texas named West was rocked by a massive explosion that annihilated a fertilizer plant. The horrifying blast destroyed a nursing home, fifty homes and killing at least fourteen people though the final death toll isn’t known yet. 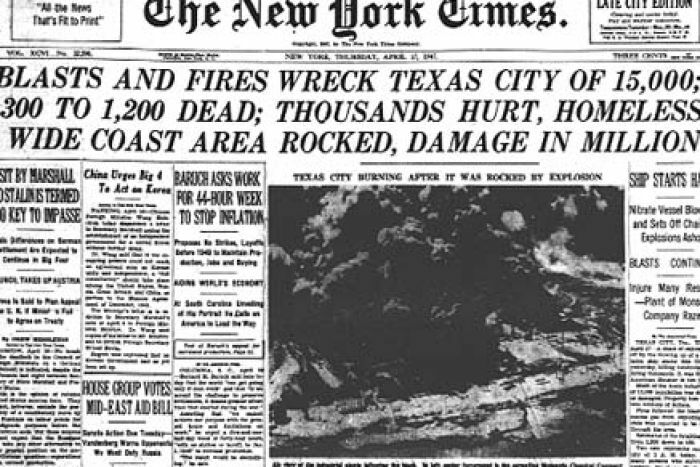 Sixty-six years ago nearly to the day, Texas suffered a disaster that bore a haunting similarity. 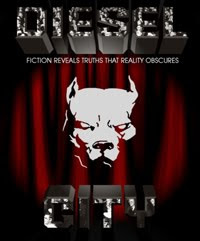 Texas City is a port town not far from Galveston, Texas. On April 16, 1947, the harbor was busy. 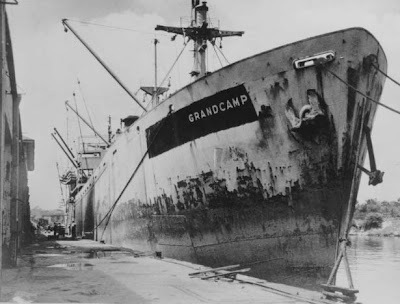 The SS Grandcamp that had once been christened the SS Benjamin R. Curtis had been reactivated after World War II as part of the Marshall Plan in rebuilding Europe. Docked not far from the SS Grandcamp was the SS High Flyer. When one looks at the manifests of the two ships one can see that together these were a recipe for disaster. The SS Grandcamp carried highly volatile ammonium nitrate along with small arms ammunition. The manifest of the SS High Flyer also contained ammonium nitrate as well as sulfur. If the contents of the two ships weren’t dangerous enough, a short distance from the two ships was a warehouse full of fertilizer. Around 8:00 a.m., smoke was spotted in the cargo hold of the Grandcamp. Repeated attempts to put out the fire failed. When they thought they had it under control, a red glow returned. 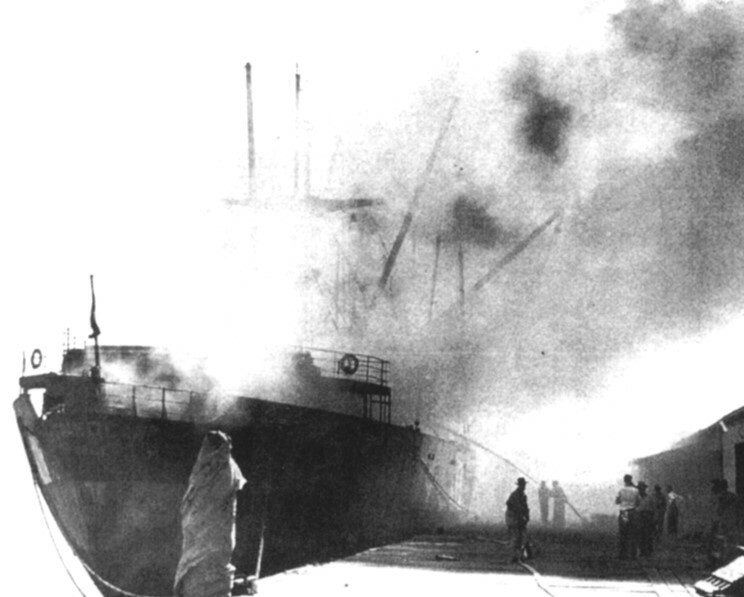 In an attempt to put out the fire while preserving the contents the captain had steam piped into the cargo hold shortly before 9:00 a.m.
As one might expect, a crowd of spectators began to form along the shoreline. The spectators noticed that not only was the water around the ship beginning to steam from the heat while the cargo hold and deck began to bulge as the pressure of the steam increased inside. Suddenly disaster struck at 9:12 a.m. when the ammonium nitrate exploded. The blast leveled nearly 1,000 buildings on land. 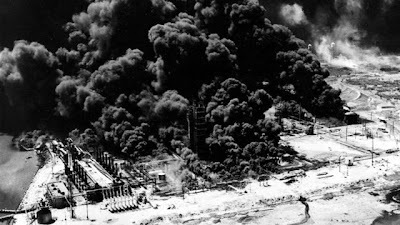 The Grandcamp explosion destroyed the Monsanto Chemical Company plant and resulted in the ignition of refineries and chemical tanks on the waterfront. Falling bales of burning twine added to the damage while the Grandcamp's anchor was hurled across the city. All 6,350 tons of the ship's steel was blasted away, some of it travelled at supersonic speed. Sightseeing airplanes flying nearby had their wings shorn off, forcing them out of the sky. 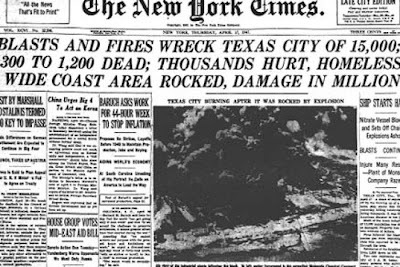 The blast was so extreme that ten miles away, people in Galveston were forced to their knees, it shattered windows in Houston, Texas, which was 40 miles away and people as far away as Louisiana felt the shock. However, the horror wasn’t over. 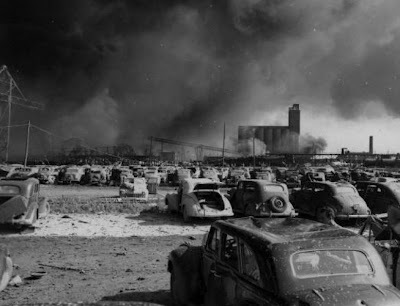 The explosion of the Grandcamp ignited the ammonium nitrate stored in the nearby SS High Flyer. The crews desperately attempted to save the ship but failed. Smoke had been pouring out of its hold for over five hours, and about 15 hours after the explosions aboard the Grandcamp, the High Flyer blew up. The explosion of the High Flyer demolished the nearby SS Wilson B. Keene, killing at least two more people and increasing the damage to the port and other ships with more shrapnel and fire. The blast of the High Flyer was so severe that it blew one of the propellers almost a mile inland. The effects of the explosions devastated Texas City. The number of casualties from the blast of the Grandcamp is estimated at 567 however, it was likely more since many were obliterated into ash or vaporized. More than 5,000 people were injured, with 1,784 admitted to twenty-one area hospitals. Over 500 homes were destroyed and hundreds damaged, leaving 2,000 homeless. The seaport was destroyed and many businesses were flattened or burned. Over 1,100 vehicles were damaged and 362 freight cars were obliterated. Texans are a strong people and the people of Texas City rebuilt. 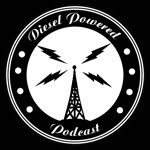 Today Texas City is a busy deep-water port on Texas' Gulf Coast, as well as a petroleum refining and petrochemical manufacturing center. As of 2010 census, the population was 45,099. Just as the people of Texas City overcame the disaster of 1947, so will the people of West. If you would like to help the people of West, Texas you can contribute to the American Red Cross of Central Texas.